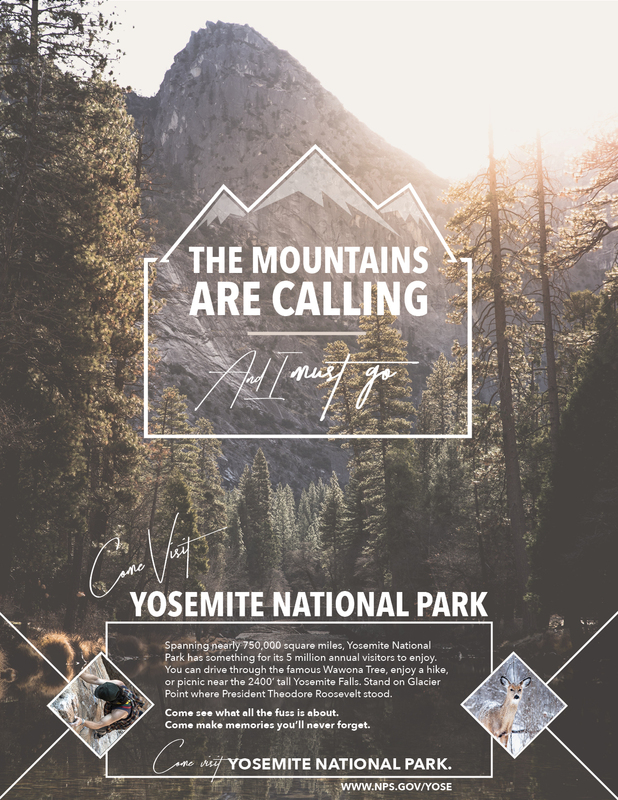 Scope: I had assigned my students to create a flier for a national park of their choice, and wanted to join them on the project. I loved working with shapes on this one! I created the mountains in Illustrator, edited images in Photoshop, and brought the overall layout together in InDesign. I wanted to use more shapes have a modern flair to the design- I think I got it. I’m really excited about how this came together! Truthfully it’s not at all what I envisioned, but I love the modern vibe and use of shapes.